Joan Plaza doesn’t want to hear about a sabbatical. 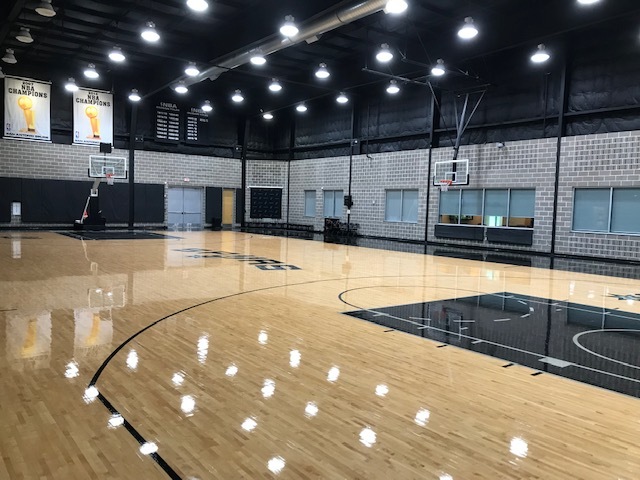 The coach explained to Eurohoops his plans for this season from the facilities of the San Antonio Spurs. Four months ago, Unicaja announced that the coach with the most victories in the history of the club wouldn’t continue in front of the team. Joan Plaza (Barcelona, 1963) closed a circle that he had started five years ago when he landed on the Costa del Sol after spending a year in Lithuania. The greatest success of the Spanish coach wasn’t the heroic conquest of the EuroCup two years ago, but to return the city of Malaga to its rightful place in the European basketball map. However, for the first time since his career on the bench began, Plaza doesn’t have a team to coach this season. Given this situation, which is so unusual for him, he has decided not to sit idly by. On the contrary, he traveled to the States and spend time together with two of the best coaches in the world: Gregg Popovich and Brad Stevens. 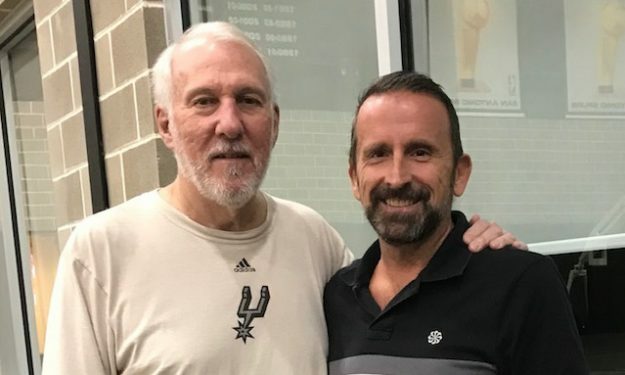 Before flying to Boston, where they wait for him in the Red Auerbach Center and in the Boston College, coach Joan Plaza talks to Eurohoops about his US trip, where he has been able to share ideas with another former Real Madrid coach, Ettore Messina, and attend the training sessions for the Spurs. – It’s been a very different summer compared that the ones you had in recent years. How was it? “That’s true. For the first time in my career, I haven’t started the season coaching. After assimilating this idea I had two options: just wait for an opportunity or make use of the time I had. If an offer comes, I want to be already working and improving, and not just stay on the couch at home”. – It’s hard to believe that no offer came. Not even from outside of Spain? “Well, things are the way they are and if something came… it didn’t come to fruition”. – What’s the purpose of your trip to the USA? What did you expect to learn? “I started the summer giving some clinics and after being in Zadar watching the tournament which included five EuroLeague teams, the option of going to the US come up. I didn’t think twice. I did it before becoming a professional coach and I return now almost 20 years later, to pick up details that will improve me in every level. There are always things to be learned”. – When you get in touch with a franchise like San Antonio, do you understand why it remains stable after so many years? “They have a very defined line of work, which escapes the stridencies, fashions or the glamour. All of them who work in the franchise are faithful to this line of work, from the GM to the last person of the court or the office employees. Human quality is the key, along with all the talent that can be allowed to flourish, of course”. – Were you surprised by Gregg Popovich? Has anything caught your attention from him? “Well, beyond what I see and the things that different important members of his staff explained to me, I believe that his personality is stamped on the court and in the entire franchise… without having to raise his voice. He knows how to delegate, he focuses greatly on the details they have to improve and he believes in the group above everything else. He is not afraid to defend his philosophy, which is hardly imitable if you don’t have patience, earnestness, and faith in the clubs or franchises that want to export it”. – And now you go to Boston, the home of the next great coach of the NBA. “Yes, it is a privilege that I have been invited to spend time with two coaches of this level in the same summer. I hope to get good lessons from both, which will make me a more complete head coach”. – Had you had contact with any franchise before? “Yes, many years ago. I wanted to see how some universities worked and while being at Boston College, I went to the building that the Celtics had in Boston. My English then wasn’t the best and I asked if I could talk to the “trainer” thinking that I would see the head coach… when Ed Lacerte -the real trainer- appeared. That funny anecdote opened to me the doors to be in the workouts of Johnson, Bird, Ainge, McHale, and Parish led by K.C. Jones for a week at the Hellenic College in Massachusetts. Then I attended also the practices of the Sixers and the Hawks“. – What do you think that especially EuroLeague clubs, must learn from the NBA? “I think the EuroLeague has come a long way and will continue to improve. Of course, the NBA is far ahead at an organizational level and clubs infrastructure. They don’t have any fear of investing in aspects of the organization that don’t score the ball, but they also protect the product and the competition. Still, I am confident that time will level all the differences, but we must not forget that there is only one competition played there and not three competitions as we do in Europe”. – What aspects of the American mentality do you think would improve European basketball at a coaching level? “The quality of the European coach and European player is beyond doubt, even for many Americans. But it is true that the EuroLeague in its current new format will require an important time of adaptation. Playing around 70 games or more is new for all of us and that requires resetting many things. Length of workouts, training without running, dosing minutes of play, improvement of scouting, prevention of injuries, adequate diets and a lot of work… during summer. The NBA player rests barely 15 days and the rest of the time he prepares to arrive in perfect physical condition because he will have a lot of competition around him and little training time available”. 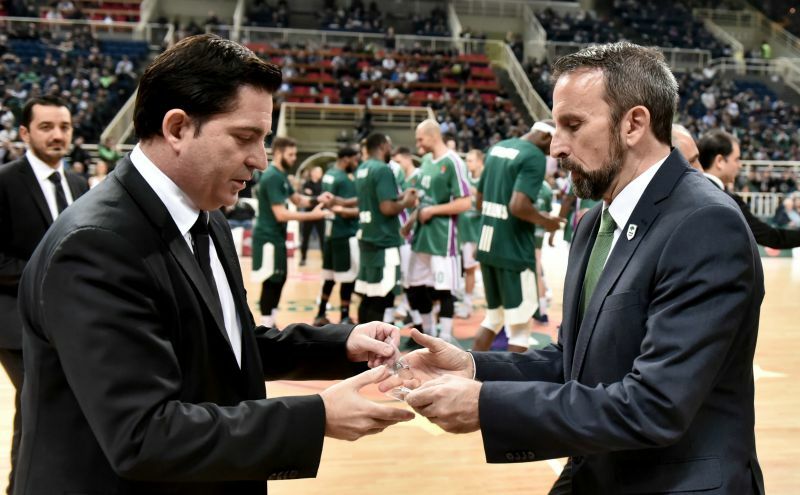 “Unicaja, despite having played 11 EuroLeague Top-16, was in the EuroCup the previous year and was a rookie club -the others only had one year of experience- in the current format with so many games and trips. We knew that in this new structure, Barcelona, Maccabi, Milan, Zalgiris, Crvena Zvezda, etc…, didn’t qualify the previous year and therefore, the difficulty was maximum. The good work of the team led us to the ninth position, one place away from the Play-Offs, but we were above many teams with bigger budgets than us and also we competed at a high level -two wins against Fenerbahce, Barcelona or Maccabi, we beat Real Madrid and Olympiacos– and our players improved”. – Have you had the opportunity to watch Unicaja this season? “I haven’t been able to watch almost anything. I know that they have signed good players and that they maintain a backbone with the old ones, that they have a great coach and a great staff, as well as extraordinary fans. All this will lead them to compete for all the titles”. – What are your plans for the rest of the year? “My plan is to make the most of my time. I would rather be training, but almost all the coaches were in my position at some point in their careers. Some EuroLeague coaches have invited me to see their training and I hope to do it in Spain as well. Also, I expect to give some clinics, wherever there are interested in having me”.